ONE of the more peculiar pieces of evidence - and there have been many - heard by the Renewable Heat Incentive inquiry at Stormont over recent weeks centred on the role of Post-It notes, writes William Scholes. This has brought some long overdue recognition to the role played by the little square pieces of sticky yellow paper in the inner machinations of government. It seems that Post-its were a favoured method employed by Andrew Crawford, a special advisor to DUP minister Arlene Foster, when he wanted to convey special advice to the minister in relation to documentation she needed to read, and about which special advice of the sort Dr Crawford offered could indeed be considered special. What, as they say, could possibly go wrong? Quite a lot, it seems, not least the fact that no-one can remember what was written on the Post-its. The notes themselves have long since been discarded; who can tell what gems of special advice have therefore been lost from the annals for future generations, never mind this one, seeking insight into government decision-making. When it comes to the car world, I suspect the passing of Post-it notes from company bosses to their design departments is not prevalent. But if it were, it is easy enough to guess what those little pieces of paper might say: "Build us more SUVs." That is because, as we record on these pages with metronomic regularity, SUV sales are booming. People cannot get enough of them - they now represent more than 30 per cent of the new car market. And that shows no sign of changing, particularly as manufacturers are racing to fill every part of the market with an SUV or crossover-style vehicle. One area which has seen particularly rapid growth is the small SUV class. 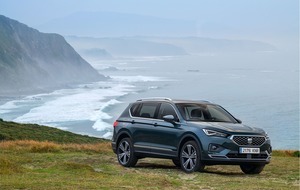 Models like the Peugeot 2008, Renault Captur and Mazda CX-3 have been operating in this sector for several years, but now Kia, Hyundai, Seat and others have piled in. 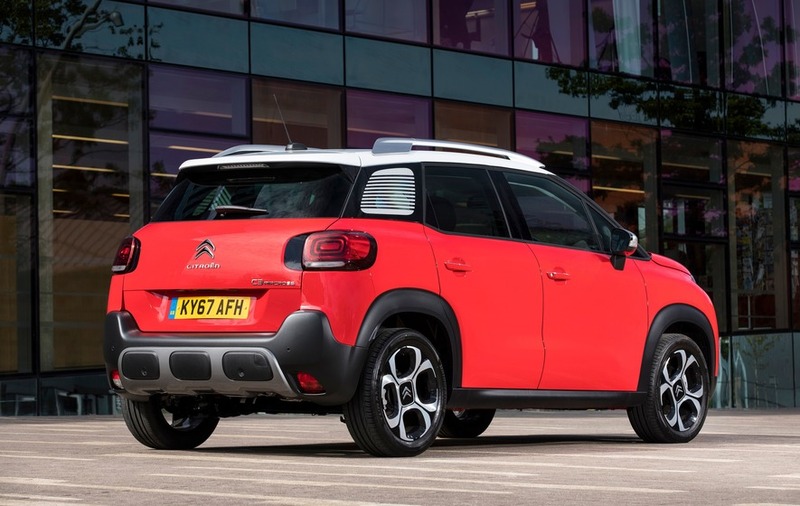 One of the more visually interesting additions is Citroen's striking C3 Aircross, which has been passed the 'useful small car' baton once carried by its defunct C3 Picasso, which you may remember as looking like Postman's Pat van. That description couldn't be levelled at the funky, chunky little Aircross, which certainly wasn't designed on a Post-it note. Distinguished at the front by the double-decker light arrangement that is becoming a Citroen design trademark, the body features lots of purposeful-looking plastic cladding and skid plates to give the car an appealing rough 'n' tough, up and at 'em demeanour. Some rivals look quite apologetic about their SUV aspirations, like little more than regular small hatchbacks with gently raised ride height, but the charming C3 Aircross looks ready for anything. That's a bit of styling sleight of hand, though, as the Aircross is resolutely front-wheel-drive only. That isn't particularly unusual among small SUVs, though. And if you think you will need a bit of extra traction from your small Citroen, you can specify the 'grip control' system the company shares with Peugeot. Previous experience has shown this to be highly effective in snow and ice, and it also means your Citroen will be fitted with all-season tyres and a hill descent system. As the name suggests, the Aircross is essentially the SUV-ified version of the comfy C3 hatch which we have previously enjoyed on these pages. The two cars share the same basic platform, engines, transmissions and controls, but the Aircross is noticeably longer, measuring 16cm longer at 415cm, though only 7mm wider, at 176cm. At 164cm, it stands 16cm taller than the C3 hatch. It also has 2cm more ground clearance. All of this translates into more space for back seat passengers and a larger boot: the 300 litre volume of the hatchback swelling to 520 litres in the Aircross. Fold the back seats, and the C3 hatch's volume of 922 litres becomes 1,289 litres in the Aircross. This also makes it more capacious than most hatchbacks in the next size class up, such as the Volkswagen Golf. Further flexibility comes courtesy of back seats which can slide, a boot floor which can be set at different levels and a front passenger seat that can fold flat to help accommodate long loads. This sort of stuff matters, and the C3 Aircross certainly qualifies as one of the most useful and flexible junior crossovers. With the same style of big, flat seats already seen on the C3 and C4 Cactus, it is also rather comfortable - provided, that is, you don't attempt any cornering heroics. This is a junior SUV that prioritises the 'utility' part of the acronym rather than the 'sport' tag. Given the likely target buyer, this is a sensible enough approach, though one wonders if it would have hurt Citroen to inject a little precision or fun into the driving experience. In fact, almost everything about its controls and responses tell you that the Aircross is completely uninterested in offering any sort of satisfaction to anyone who enjoys the craft of driving and engaging with their car. The clutch is vague of biting point, the steering lacks feel, the brakes sharp and hard to modulate, the throttle dull, and the gearshift verging on the unpleasant. In a sense, none of this really matters. One imagines that most C3 Aircross customers won't have driving dynamics terribly high on their list of priorities. The funky styling, comfortable seats, big boot and airy cabin will be more important. Instead, the Aircross is a tootling along sort of car, and it tootles rather nicely. It's a talk-to-your-passengers, have-a-sociable-time kind of car. You might be glad of the company, too, not least so you have a co-driver to help you navigate the slow-to-respond touchscreen to which Citroen delegates control of everything from the radio to the heater settings. Relying so heavily on a touchscreen for so many functions is a risky approach. Volvo's system, for example, shows how it can be made to work. But for efficient, safe operation, turning a dial remains hard to beat. While on the subject of black marks, another is just how hard and shiny the interior plastics are, as well as how hollow some of the mouldings sound. The Citroen is not an especially cheap car, making it harder to forgive the feel of the mouldings at the door-tops as well as the sound they make, like an empty biscuit tin, if you tap them. Engines include the 1.2-litre three-cylinder petrol turbo that already sees service in a variety of Citroen and Peugeot models, available here in 81bhp, 109bhp and 128bhp flavours. The 81bhp unit might be best avoided as it feels a little lethargic in the Aircross. 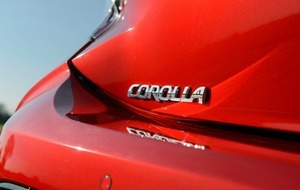 The 109bhp is a better balance for the car, and the 128bhp is positively spritely. A 1.6-litre diesel unit is offered in either 99bhp or 118bhp guises. Only the most powerful petrol and diesel units come with a six-speed manual gearbox - lesser engines make do with a five-speed - and a six-speed automatic transmission can be specified on the 109bhp petrol. Trim levels rise from Touch to Feel and, at the top of the range, Flair. All models get a DAB radio, automatic headlamps, lane departure warning, cruise control with speed limiter and air conditioning. Feel brings goodies including Bluetooth, smartphone mirroring, alloy wheels and the touchscreen. Flair models gain sliding rear seats, satnav, electrically folding door mirrors, parking sensors, keyless entry and electric rear windows. Desirable options include the large, opening glass sunroof - an excellent addition to almost any family car. Adding to the Aircross's appeal is a dizzying array of options to choose different body colours, roof treatments, interior trim and wheels. Citroen reckons 85 combinations are available, though that seems conservative when you consider you can mix eight body colours, three roof colours, five so-called colour packs for the interior and different alloy wheels. 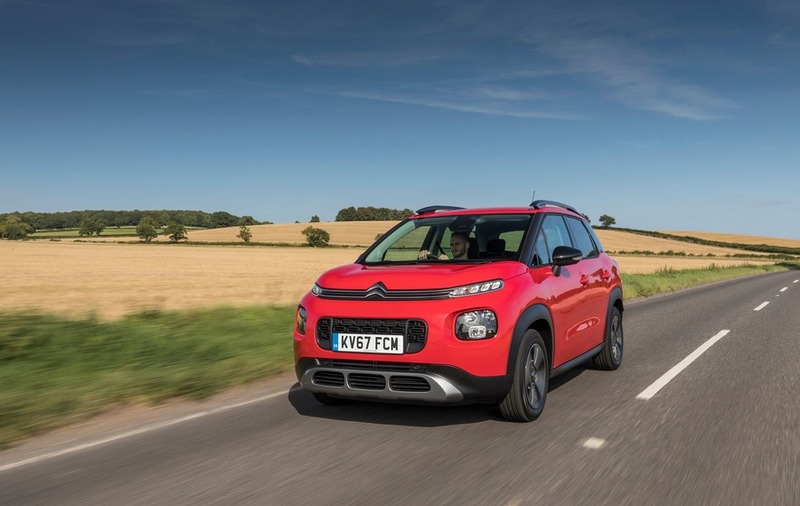 That means there is, as they say, something for everyone - provided you don't have any particularly high expectations of the C3 Aircross as a driver's machine and can look past some of its more obvious cost-cutting measures. 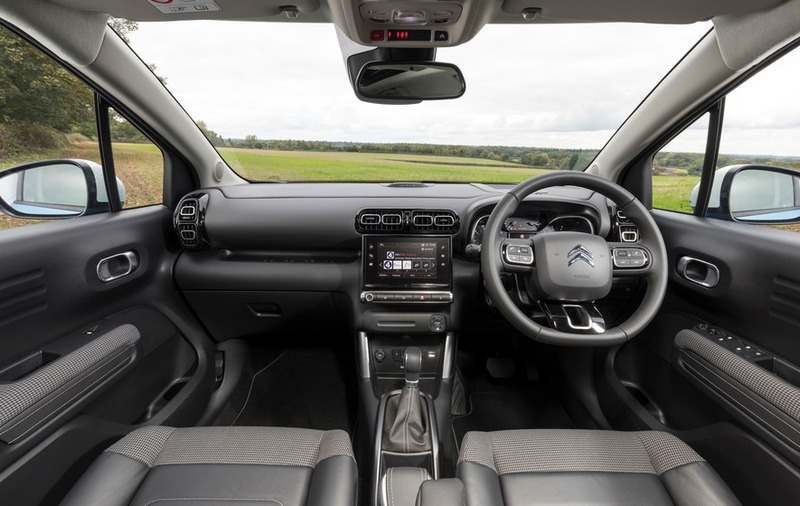 However, approach the Citroen from the perspective of a family buyer who wants an SUV with all the toys, and an emphasis on comfort, practicality and style and the Aircross hits the target with impressive accuracy. That it conducts itself with more charm than most rivals merely adds to the Citroen's appeal. 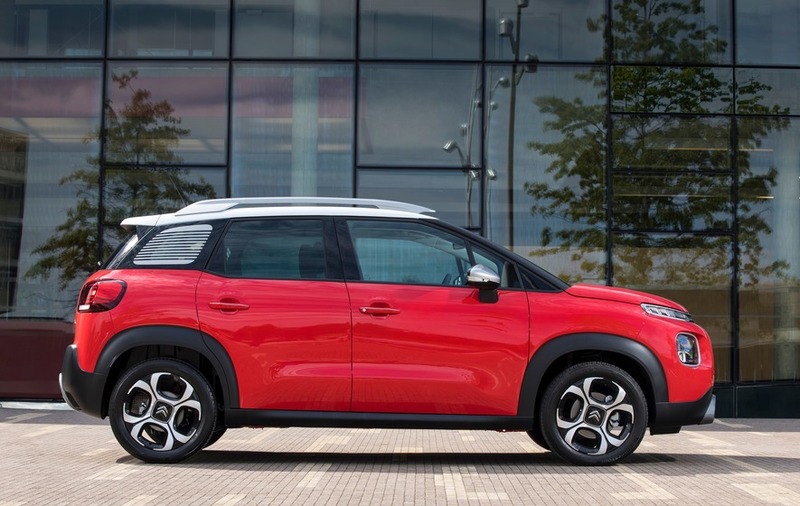 And it means that if you're in the market for a small SUV, the name of the C3 Aircross should be on the Post-it note where you're scribbling your shortlist.